It seems like an eternity since Tom Clancy's The Division was announced but it's finally here and we've put it through its paces. Was it worth the wait? Was the scripted co-op dialogue in early gameplay demos close to reality? Let's take a peek and find out. It's Black Friday in New York City and despite the fact that fewer people carry cash these days, a real piece of work named Amherst decides to smear a custom-made version of the Smallpox virus all over paper currency, which is hilariously dubbed (at first, anyway) the Dollar Flu. This spreads rapidly and has an enormously high mortality rate, which causes widespread panic, the institution of martial law, and eventually, the activation of a group of super agents known as The Division. As a Division agent, it's your job to clean up the streets of NYC by hunting down Amherst and all of the goons who seized opportunity during the chaos. Four "factions" have taken to the streets for various reasons, but all of them end up with you shooting them in the face. Early on, you'll face rioters - hoodie-clad youngsters who are out to get what's "theirs." (Bullets in the head.) There's an interesting faction called the Cleaners, who regularly cosplay as the Pyro from Team Fortress 2 and whose end goal is to burn everyone they think could possibly be infected. You shoot them in their fuel tanks for fun and profit. 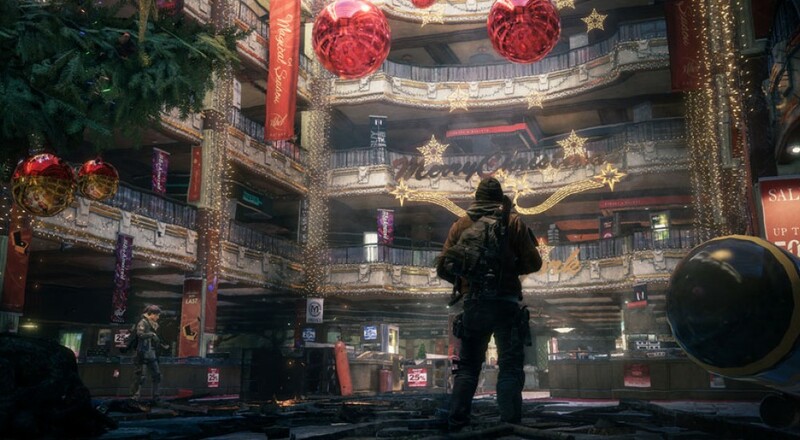 New York City's midtown areas are extremely well rendered in The Division, and I've tapped our good friend Nick to add his thoughts on this later on in the review. 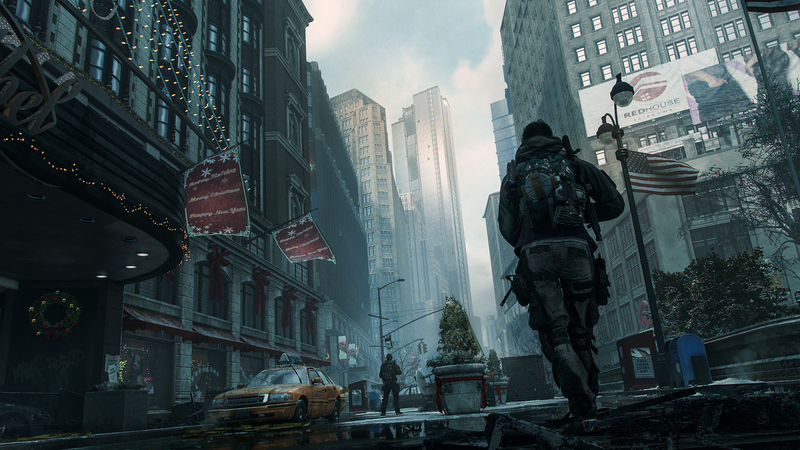 At its core, The Division is an extremely competent cover shooter with a couple nice additions. Aiming your reticle at any other piece of cover and holding the 'snap to cover' button will cause your agent to sprint towards it and then take cover there. The system governing this is smart enough to have you vault over the top of cover or run around obstacles to reach it. Additionally, in a lesson certainly cribbed from Assassin's Creed, you can hold the 'traversal' button to automatically hop over things, hood slide, or even jump onto a ladder from a full sprint. There's a little bit of suspension of disbelief necessary when you get around to the actual shooting, since enemies tend to be of the bullet sponge variety. When you're presented with visuals and weaponry that closely resemble reality, the fact that you might unload an entire magazine into someone's snapback or hoodie and NOT kill them seems a bit silly. It feels very similar to the Borderlands games in practice.